For years Baptists have sent missionaries and volunteer teams to plant new churches all over Philadelphia. 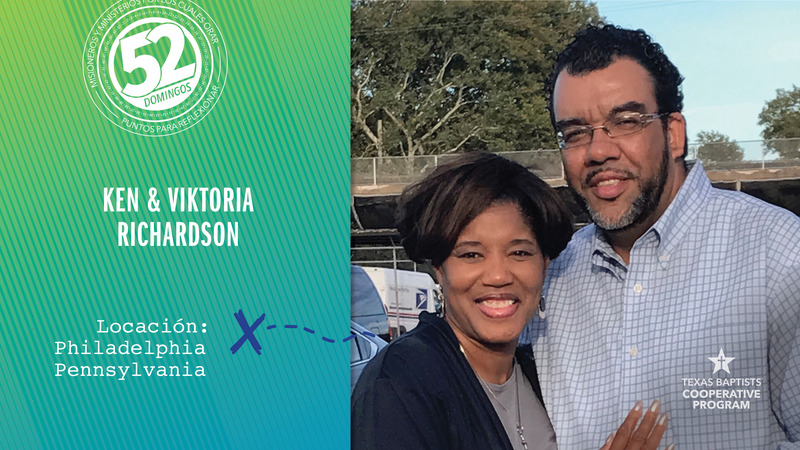 Ken and Viktoria Richardson are two such missionaries who planted Neighborhood Church in the Wilson Park area, a low-income community with many problems. Ken and Viktoria reach out to people in their neighborhood, making friends with people and sharing the Gospel. They also meet physical needs where they can. For instance, they were able to help a woman named Nichelle and her son, Darius, who had lost almost all of their possessions when their home burned. Although Nichelle and Darius were not part of the church, Ken and Viktoria visited them after the tragedy and helped them recover. Soon Nichelle and her son were attending Neighborhood Church. Nichelle says before the fire she did not understand the Bible or have a relationship with God. But now she says, “I am thankful, not only to have a relationship with God, but to fellowship with people who genuinely love and care for others.” Nichelle is training to be part of the church’s leadership team. Our church supports this long-term church planting effort in Philadelphia through our gifts to the Cooperative Program. 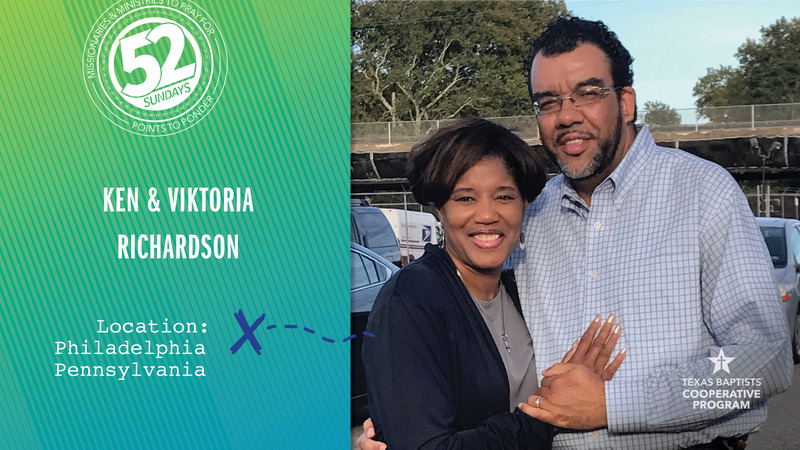 Let’s pray for Ken and Viktoria and their ministry in the Wilson Park area of Philadelphia. Through the power of Christ, they’re helping people like Nichelle transform their lives, both physically and spiritually.